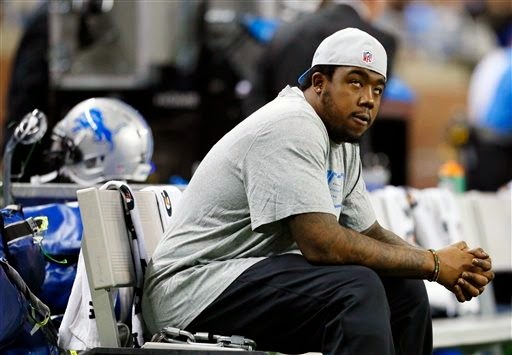 Nick Fairley is inactive for the Lions’ playoff game against the Cowboys today. The defensive tackle, who has been out since Oct. 26 with a knee injury, practiced on a limited basis on Thursday and Friday. He was listed on Friday’s injury report as “doubtful” for Sunday. That means he had a 25 percent chance or less of playing. C.J. Mosley will start his ninth game in Fairley’s spot next to Ndamukong Suh. Travis Swanson will start at right guard for Larry Warford (knee). Other inactives for the Lions today: WR Ryan Broyles, CB Josh Thomas, DT Caraun Reid, DE Larry Webster and QB Kellen Moore.